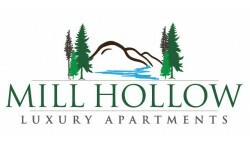 Mill Hollow Apartments offers luxury apartments with breathtaking views. Spacious two-bedroom homes are set against a vista of the Helderberg Mountains with your own private balcony or patio where you can enjoy the outdoors. 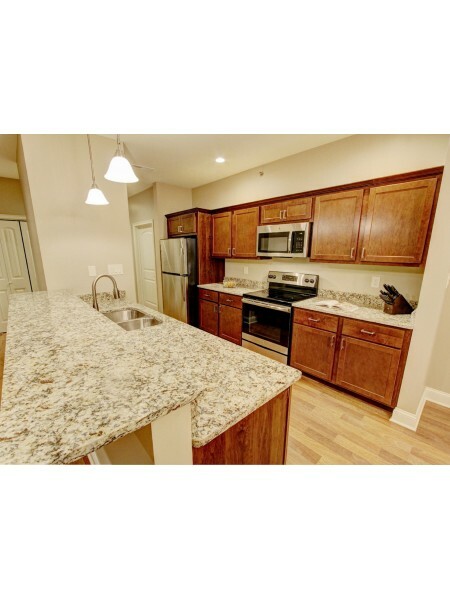 An open floor plan leads to a beautiful kitchen with granite countertops and a breakfast bar. The master bedroom has a large walk-in closet and a bathroom with luxurious granite counters and a double sink. A second bedroom can also be used as an office or family room. Each apartment features a private laundry room, hardwood plank flooring, and a ceiling fan in the master bedroom. When you take a walk on the grounds, Mill Hollow’s scenic mountain views will take you away from it all. The expansive community clubhouse has a vaulted ceiling with large windows where you can relax and feel the warmth of the fireplace or watch a movie in Mill Hollow theater. On the clubhouse deck, enjoy your coffee and marvel at the beauty of the mountains. Ready for some exercise? Check out the community’s fitness center, in-ground pool, or get fresh air along the walking trail. Conveniently located off of Western Avenue, Mill Hollow is located in the charming suburban community of Guilderland, NY.